Earlier this month, El-P and Killer Mike premiered their new Run the Jewels project with a sample of a song called "Banana Clipper," but the duo will unveil so much more this June when they issue their first album. A release date has yet been set, but it'll arrive for free via Fool's Gold. While a tracklisting has yet to arrive for the LP, Run the Jewels did upload another sneak peek song called "Get It." 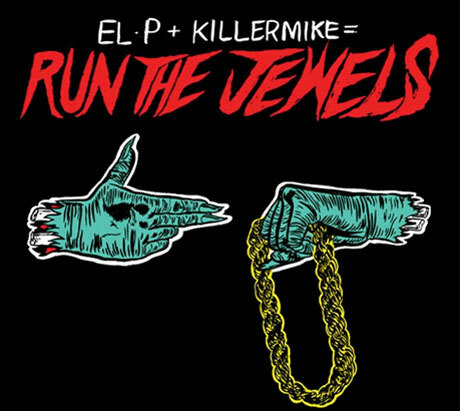 You can sample the track's mean-spirited synth-bass, punchy sampler work, and back-and-forth verses from El-P and Killer Mike down below via Pitchfork. Run the Jewels will also hit the road in support of their freelease this summer on a tour with Despot and former Das Racist MC Kool AD. The trip kicks off in Canada at the Ottawa Bluesfest, with other up-north appearances booked in Toronto, Edmonton, Calgary and Vancouver. You can check all of Run the Jewels' dates, as well as some solo shows from Killer Mike, down below.